The Howards of Virginia is a 1940 film released by Columbia Pictures and based on the book The Tree of Liberty written by Elizabeth Page. 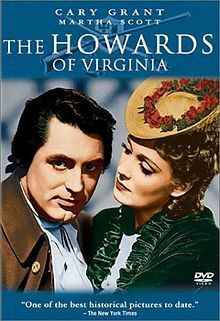 The Howards of Virginia live through the American Revolutionary War, with Cary Grant starring as Matt Howard, Martha Scott starring as his wife Jane Peyton Howard, and Alan Marshal and Sir Cedric Hardwicke starring as Jane’s brothers Roger and Fleetwood Peyton. Fleetwood Peyton is both Jane’s eldest brother, the patriarch of his family, and a member of the Tidewater aristocracy. 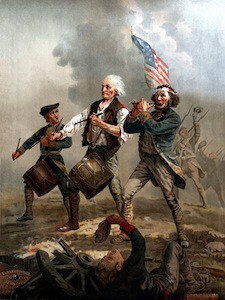 The film includes a look at the young Matt Howard, Thomas Jefferson, and Jane Peyton. Much of the film was shot at Colonial Williamsburg, much of which had only been recently restored or reconstructed at the time of the production. The Capitol, Raleigh Tavern and Governor’s Palace are prominently featured. 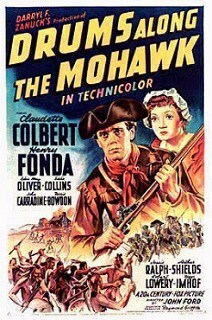 Against the backdrop of the events leading up to the American Revolution, Matt Howard (Cary Grant) builds a fine plantation, Albemarle, in the Shenandoah Valley of Virginia out of love for his wife (Martha Scott), only to see it crumble under the strain of events and differences in their upbringing. * 1940 Academy Awards: 2 Nominations: for Best Original Score (Richard Hageman) and Best Sound Recording (Jack Whitney).